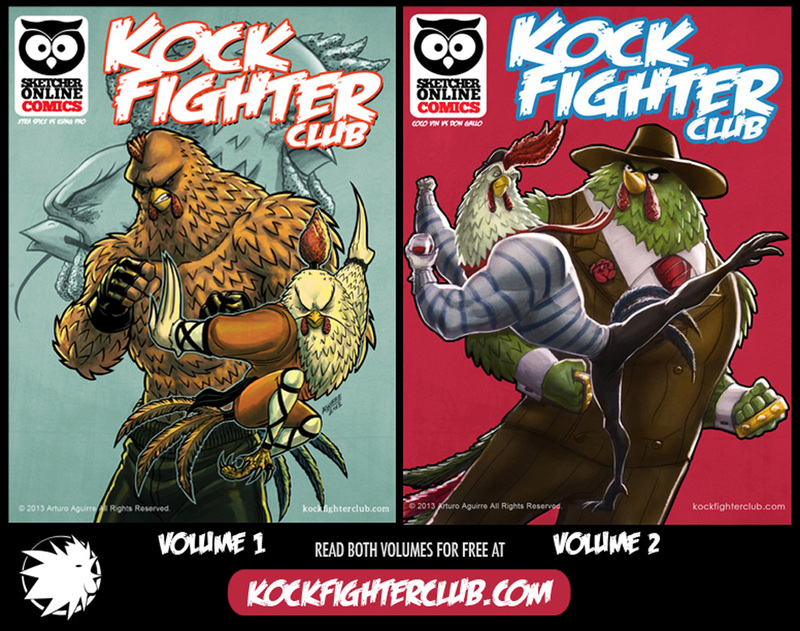 I am writing to share that I have released the second volume of the Kock Fighter Club comic. 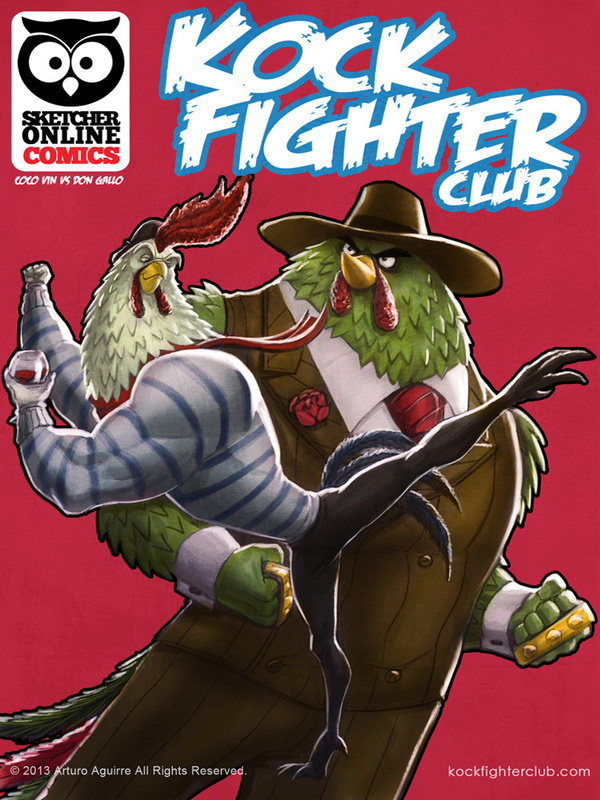 I went with a slightly different approach this time. I created thumbnails of the pages in my sketchbook, I took a picture and drew over them in Photoshop to define the artwork better. 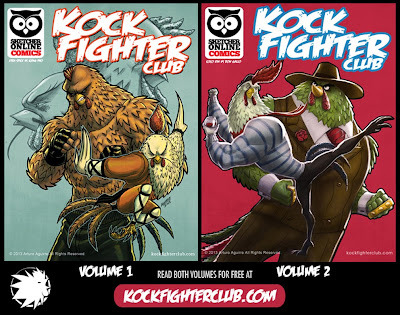 I have uploaded both volumes of the comic to kockfighterclub.com so you can read them for free. Check them out and tell us what you think in the comments section. Hope you like them.